The warm season is about to begin. Jypyä Pop (Turku, Finland) on 25 March 2017 in Plant & Nature and Portfolio. 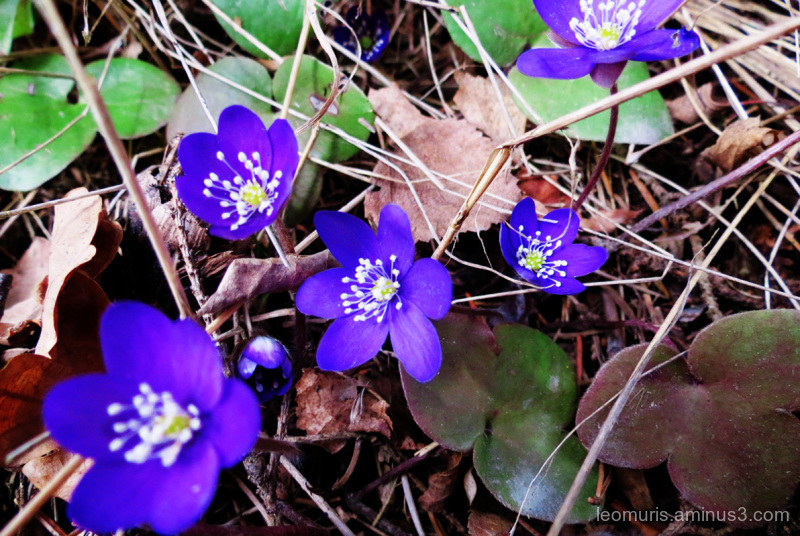 Hepatica nobilis, Sinivuokko is Finnish important characteristic of the spring. Jolies fleurettes, j'aime leurs couleurs. Varma kevään merkki ja kesä tulossa. Ihanaa! @Eve: Se on ainakin yhtä vahva merkki kuin linnun laulun lisääntyminen ja keskustelu katupölystä ja... It is at least as strong character as an increase in the bird's song and discussion of street dust and ..
Lovely little flowers ! Enjoy spring ! Apparently Oiva and you were taking the same flowers. (In the thumbnails). A nice shot of a this smalls but beautiful flowers. Gorgeous blue, purple among young and old leaves.